"There's only one criminal mastermind who could be behind all this." 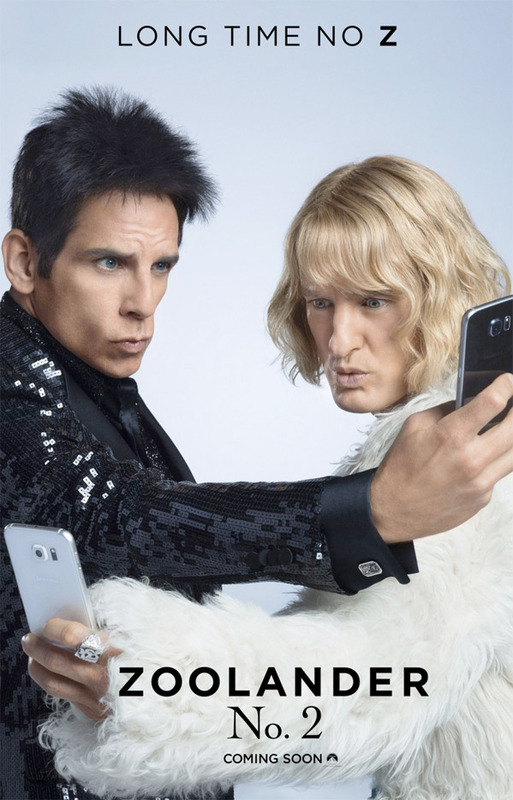 Paramount has unleashed the first amusing trailer for the long-awaited sequel Zoolander 2, starring Ben Stiller and Owen Wilson as male models Zoolander and Hansel. This is a full-on trailer that actually spends time explaining the story and the characters, showing tons of footage including some hilarious sets and all the endlessly amazing costumes. Penélope Cruz co-stars with Kristen Wiig, Christine Taylor, Billy Zane and of course, Will Ferrell as Mugatu. I'm still not sure if this is going to top the original, but at least they're giving it a shot. Enjoy! Zoolander 2 is directed by Ben Stiller (director of Zoolander, Tropic Thunder, The Secret Life of Walter Mitty) and written by Justin Theroux (writer of Tropic Thunder, director of Dedication). Ben Stiller and Owen Wilson reprise their roles as male models Derek Zoolander and Hansel respectively in a story that has been said to take place after just as many years have passed since the original film was released in 2000. Will Ferrell will also return as Mugatu along with Christine Taylor as Matilda. Paramount Pictures has set the comedy sequel for release on February 12th, 2016. Rewatch their big catwalk reveal from this March. All is all. I really enjoyed that. As a sequel it's not allowed to be better. But hey, it's Ben stiller, the guy has talent. Guys, correction its directed by Ben Stiller. Still, can wait to see this one. That is very, very interesting... Justin Theroux was originally announced as director years ago, and was credited as director as of March when the first footage from Zoolander 2 was released. Original news about Theroux: https://www.firstshowing.net/2010/justin-theroux-writing-directing-paramounts-zoolander-2/ In the six months since then, the credit has changed to Ben Stiller. Not surprising though as he seems to be more into filmmaking than acting recently (I interviewed him for Walter Mitty and talked about exactly that). But yes - it was a recent credit change that has to do with what's going on behind-the-scenes in the last 6 months. Even a year ago! We wrote another entire news article about Justin Theroux directing: https://www.firstshowing.net/2014/zoolander-2-ready-to-turn-left-again-with-justin-theroux-directing/ There must be some crazy infighting going on for it to switch without anyone really knowing. This looks like Expendables, but with Hollywoods trash. (Sarcasm, please, don't take this comment too serious). This looks great for what it's worth. Although, I wish they didn't spoil the Mugatu part. Ben Stiller is a genius in my book. Love his humor and movies. I can't wait for this. Cumberbatch looks hilarious! If this delivers half of the one-liners of the first one, I will be very happy. "All is all," yea bit of a weak trailer but I think it'll be good.